I am here with my new project, and I hope it will inspire you to think a little out of the box. 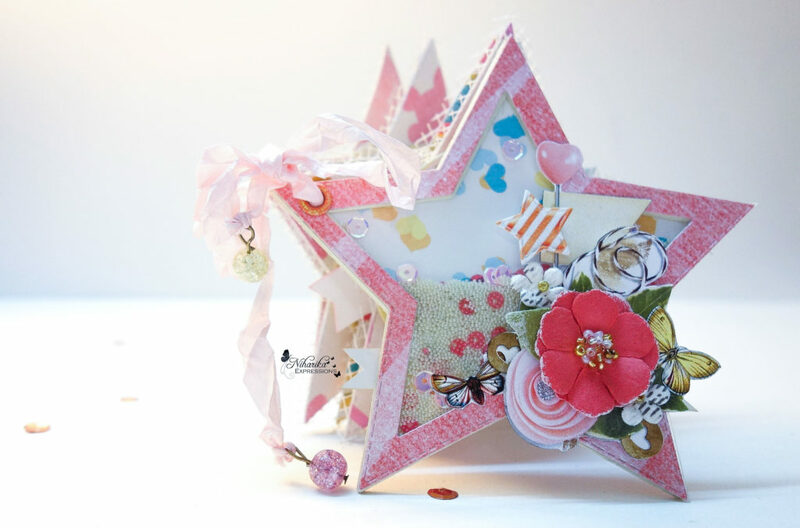 How many of you loved the new Decoupage papers release by Bob n Betty? Aren’t they all beautiful? But do you think they are not for you because you are not a decoupage person?? Let me confess, this post will change your mind. If we always try to be ordinary, we will never know how amazing we could be… right, so why not try something new this time. 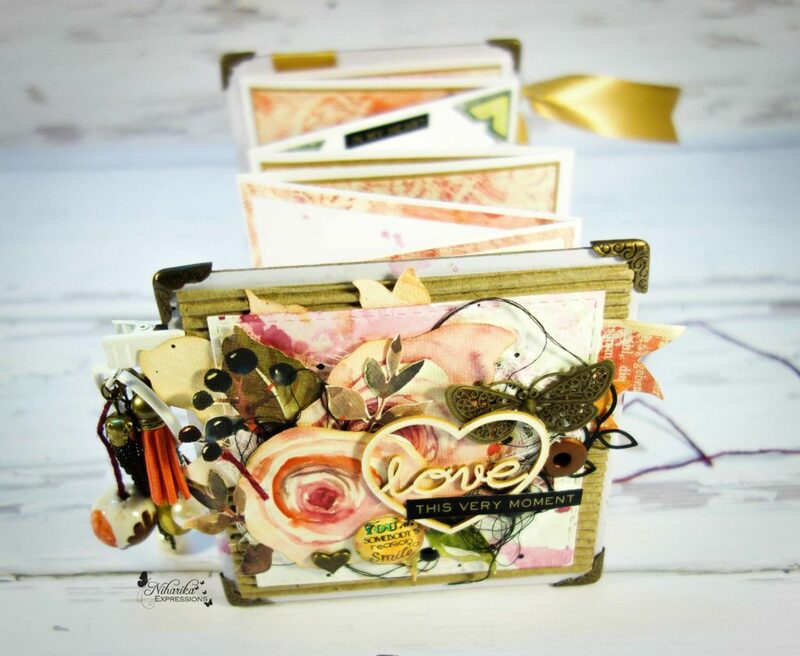 Let me first start with a little info…What is Decoupage? 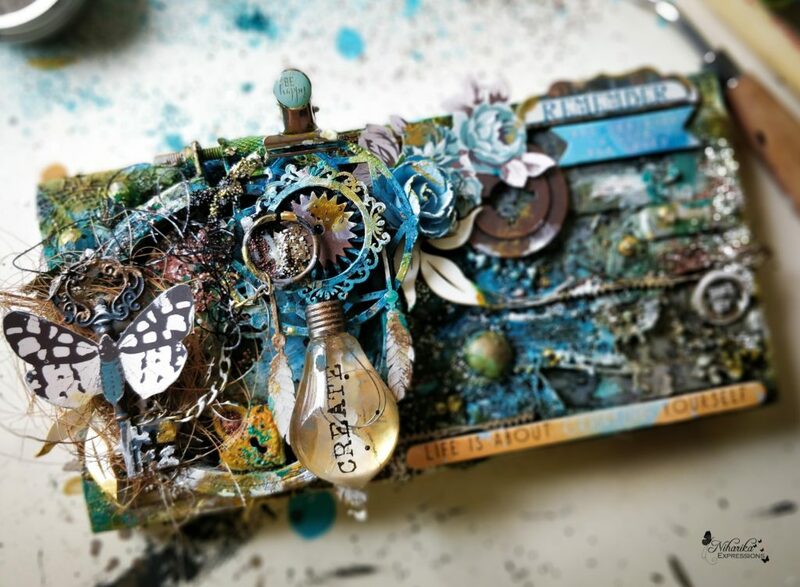 The literal meaning of Decoupage is the art or craft of decorating objects with paper cut-outs. 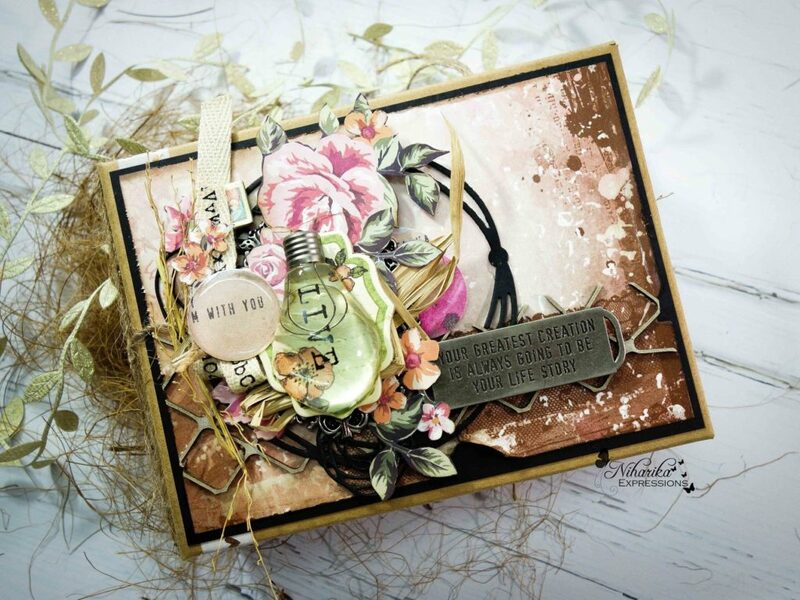 So, it is not that Decoupage specialty papers, are only for MDF or wooden projects or its not true that it can be only pasted on hard boxes using brushes, mod podge, varnish, sealant etc. Trust me, with Bob n Betty’s decoupage papers, you can do much more. 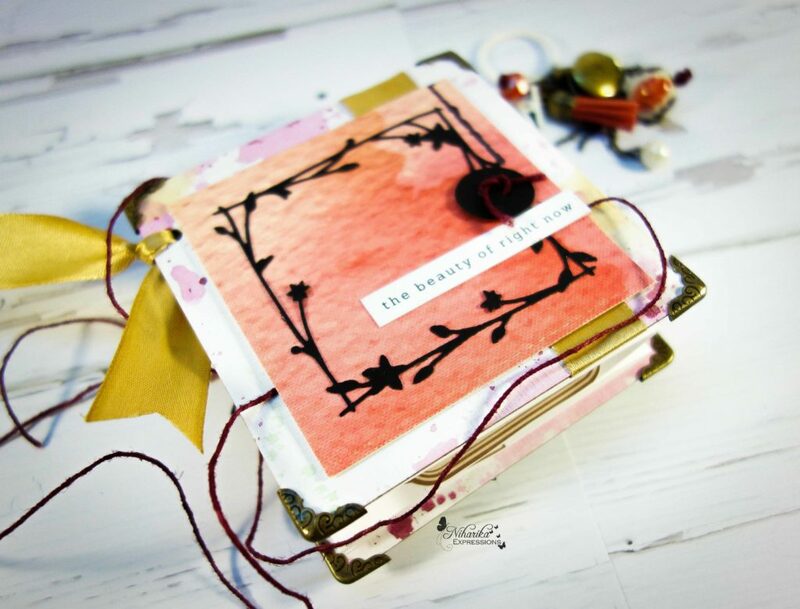 You can make your scrapbooks with them, yes you got that right. 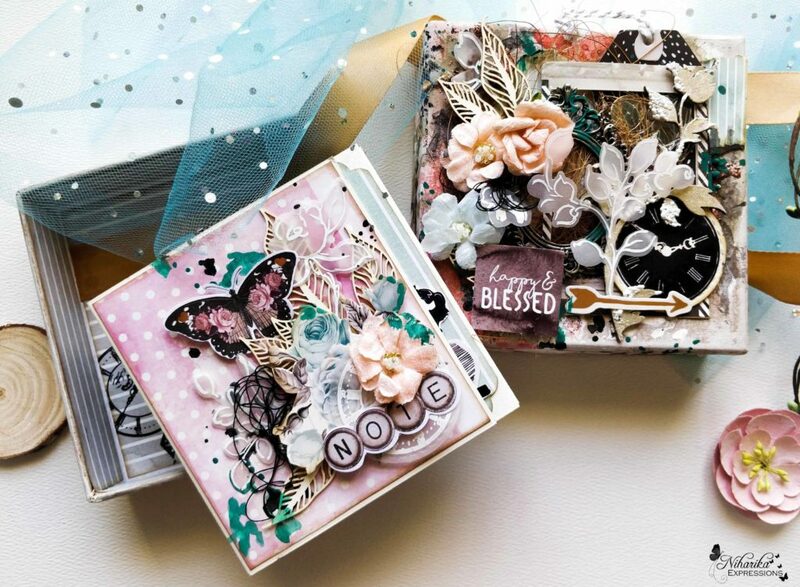 I have used my favorite design from the new release “Morning Glory” Decoupage specialty papers in this Accordion Mini Album. In fact, I have used only one set (2 A4 papers) to create this album that is suffice to hold at least 10 photographs, can you imagine 2 papers and one album..? Well follow the post to experience it yourself. So, Before we proceed towards the pictures, I would like to share my joy of debuting a new product by Bob n Betty in this project. 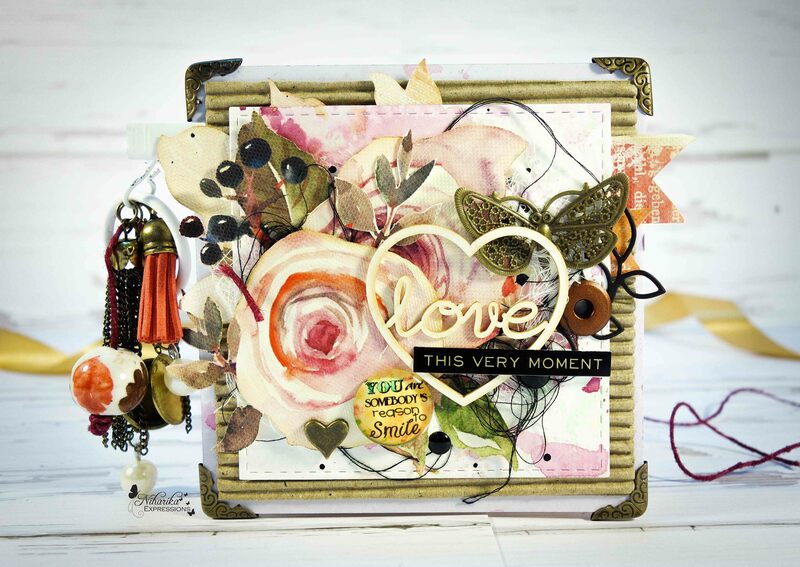 Its a must have for all scrapbookers. I actually jumped with joy to find these in my DT kit this time. 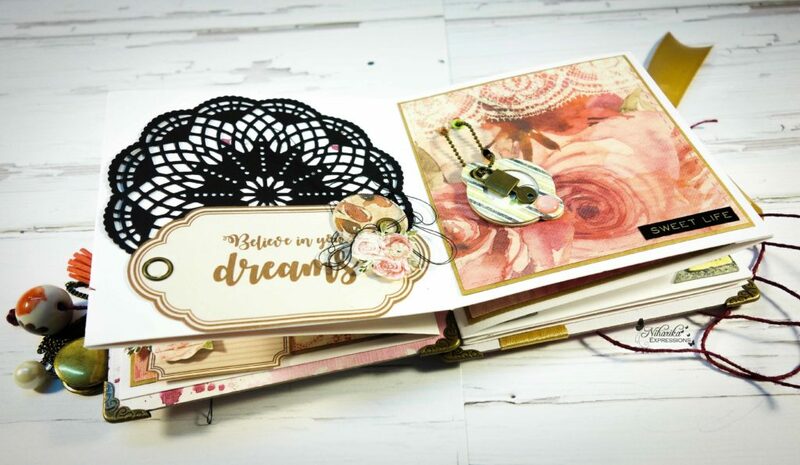 These are the prettiest chipboard sheets. They look absolutely adorable in their texture and beautiful white shade. They are going to be available in stores very soon. 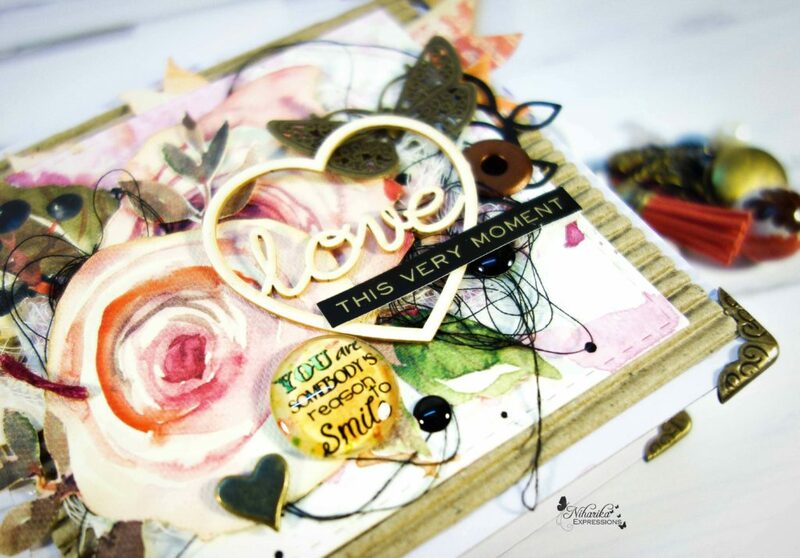 These Chipboard sheets are 1200 GSM, perfect for making your scrapbook covers. 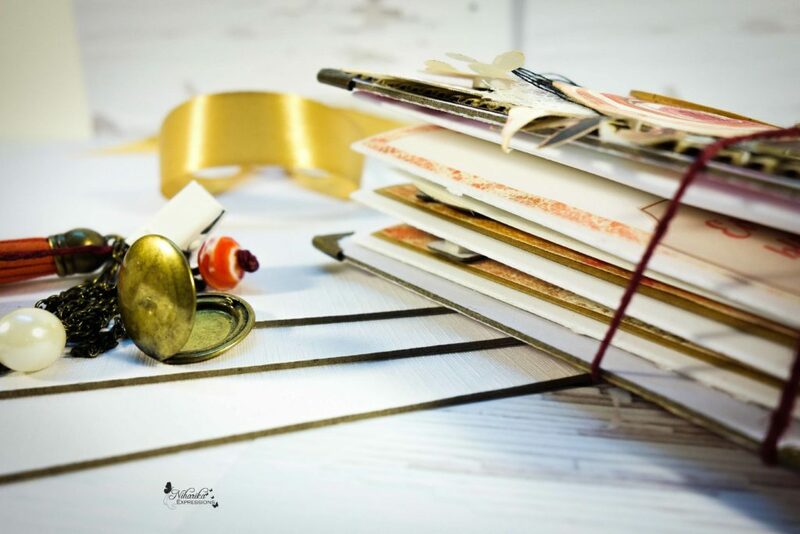 In this mini album, I decided not to cover it but to use it as it is so that the beautiful texture is visible too. Now, without much ado, let me take you to the pictures. On the cover, I have fussy cut the hand painted flower pattern and leaves on the decoupage sheet, and arranged them on a corrugated sheet above the chipboard. Inside pages are kept simple to stick pictures. Do leave in some comments to tell me how you liked this mini album. Will love to hear from you all. Thank you so much for stopping by. 13 responses on "Mini Album"
Beeaaauuttifulll album!! Loved the lil heart n key metal embellishments!! U just give life to any album. U r master mind. 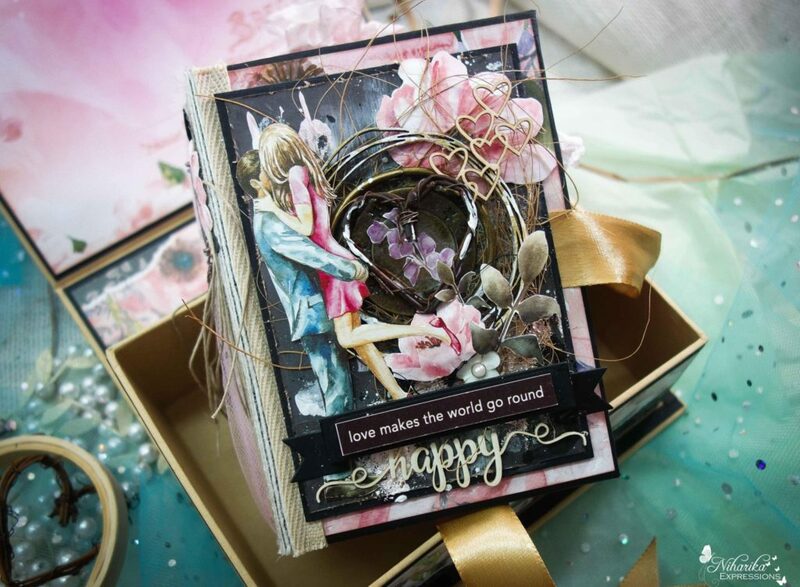 Love that fussy cut rose….its absolutely gorgeous album! super super cute….Little things do bring joy. Wow!!! This is so cute and beautiful!!! Full of soft colors and awesome embellishments!! Your are so creative and talented sweetie! !